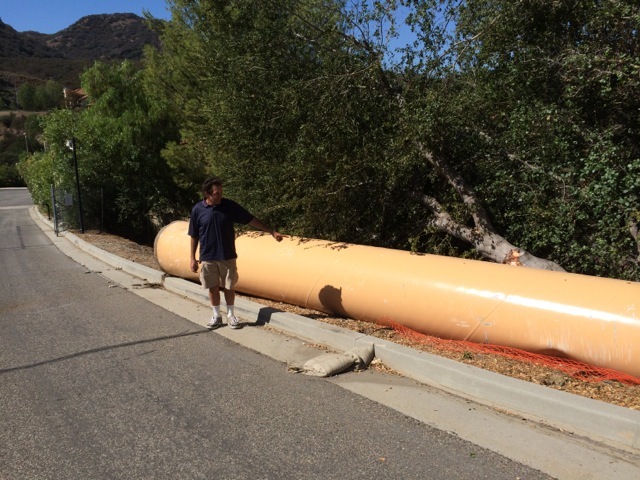 In their first board meeting since the construction incident, and the news of the Brown Act (open meeting law) violations, Las Virgenes Municipal Water District did not put either topic on the agenda to discuss at last nights meeting. The president of Pacific Hydrotech, the Districts primary contractor for the tank, came to the meeting anyway to update the Board on what happened, and new safety regulations to put in place. Three residents addressed the board, cited their take on the Boards actions, history and track record to date  and each in their own way, called for the resignation of LVMWD Board members Charles Caspary, Lee Renger, and Glen Peterson. At LVMWDs regular board meeting last night, the first since the pipe incident at the tank project, and the first since the board of directors Brown Act violation (the open meeting laws) became public, a larger than normal group of residents attended the meeting. The Board had not put either the incident nor the Brown Act on the agenda. With no agenda item to make comment on, the first speaker requesting to make open public comment was the president of the Districts primary contractor for the tank project, Pacific Hydrotech (PH). LVMWD did not hold PHs president to public comment time limits, so he spoke for more than 15 minutes instead of the normally enforced 3-5 minutes. Anyone who hasnt made a mistake here in life, Id like to know who they are. I think the mistake is — and how you deal with it in your own company is your business not ours  I think you dont get rid of someone who has made one mistake in life. But, if they continue to make the same mistake, you have a problem. I think the mistake was parking on the dam. PH president said that unloading while on top of the dam wont happen again, and gave details as to additional safety protocols for the future. Three public speakers, to applause from the audience, spoke about the Boards actions on the tank project incident, the lack of detail in the reports about the incident, the Brown Act violations (open meeting laws), and the lack of these items being on the Boards agenda. All three speakers called for the resignation of Board Members Caspary, Renger, and Peterson.